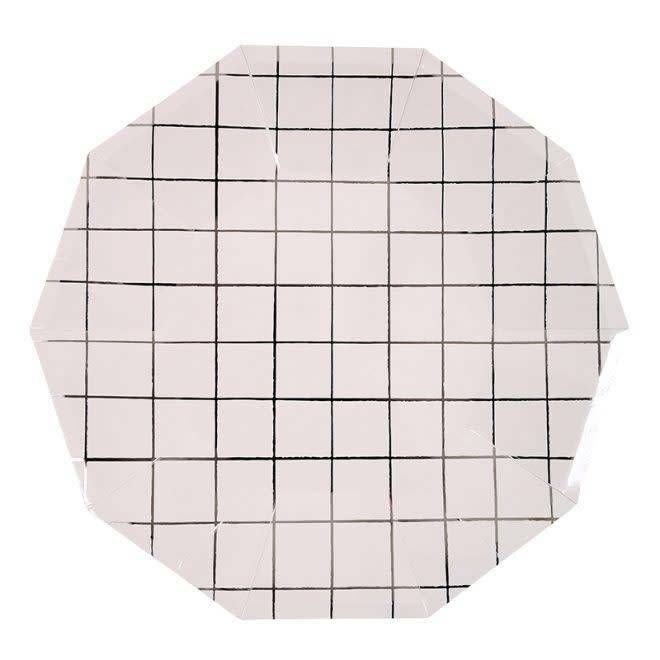 A simple but very elegant grid pattern features on these stylish large party plates. The plates are embellished with shiny silver foil. Pack contains 8 foiled plates. Pack size: 23 x 23 cm.